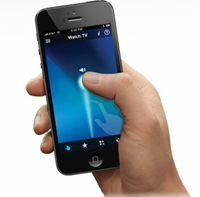 Logitech changes mind on remote control pull-out | What Hi-Fi? Logitech is staying in the remote control business, overturning its previous announcement that it was looking to ditch its Harmony remote brand. One reason behind the move is said to be the response to the Ultimate product, while allows full-system control either from a dedicated handset or using an app on iOS and Android handheld devices. That's quite a turnaround from where the company was in January this year, when company president and CEO Bracken P Darrell said the Harmony models 'no longer fit with our current strategic direction', and that the process of getting out of the remote business was already underway, along with the removal of 'other non-strategic products, such as speaker docks and console gaming peripherals' by the end of this year. At the time, Logitech cited falling sales of its Harmony remotes as the reason for the move, saying that sales in the last quarter of 2012 were down 55% by quantity year on year: despite a shift toward more expensive models, sales of its premium handsets rose only 4%, and sales were down 24% by value. The company made a net loss of $195m in the last three months of last year, usually seen as the peak gift-buying period. However, the company started sending out mixed messages in April, when it launched two new Harmony remotes, the Harmony Smart Control and Harmony Ultimate. Now it's set to have the Harmony Ultimate Hub in shops in the US and Europe within a couple of months, with a US price of $100. The Ultimate Hub allows users to control a complete system of up to eight devices using their Android or iOS smartphone or tablet via a downloadable app. The Hub/app system allows users to customise activities and choose favourite channels icons, can control video services like Netflix on game consoles, including the Nintendo Wii, Microsoft Xbox 360 and Sony PS3, and works through closed cabinets and walls, so you don’t need a direct line of sight between your handheld device and the products it's controlling. The Hub can also work with the Harmony Touch remote, turning its RF signals into infrared and Bluetooth commands to allow control of a wide range of components.